Today I thought I’d do something just a little different. 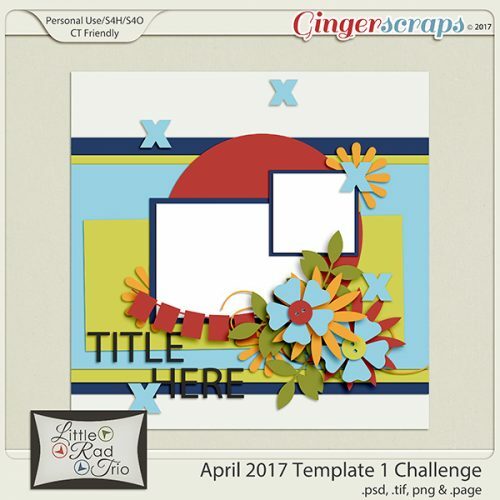 Rather than me showing you haw I do some of the things I do for my layouts, I thought we could have a chat about how to increase the value of our templates and kits by using them in unexpected ways. For another few weeks, I only have grandsons, and I love to create layouts about them with the photos their mom takes of them. (You might have noticed…) But how many templates are really boy-centric? There are lots of kits out there that are boy-centric, but they tend to have the same sorts of elements and similar papers. I don’t let that get in my way though! So let’s look at some ways to make the most of our stash to scrap photos of our favourite boys. I don’t believe in rules when it comes to creativity. So when it comes to colour, anything goes! So many of the boy-themed kits have a navy/brown/forest green/gray palette and there’s nothing wrong with that, but I’ve used a feminine, pink-heavy kit for boy layouts without making them look overly foofy. It’s all in how you use colour. If you start with a neutral background, you can add colour in lots of ways. Because my little men are just 4 and 2 1/2, I tend to use a lot of primary colours, but not always! I like to use soft greens, aqua, lavender, coral and even fuchsia for my boy layouts. Here’s an example. What about flowers? Do you feel like you can’t put flowers on your masculine layout? Well, of COURSE you can! 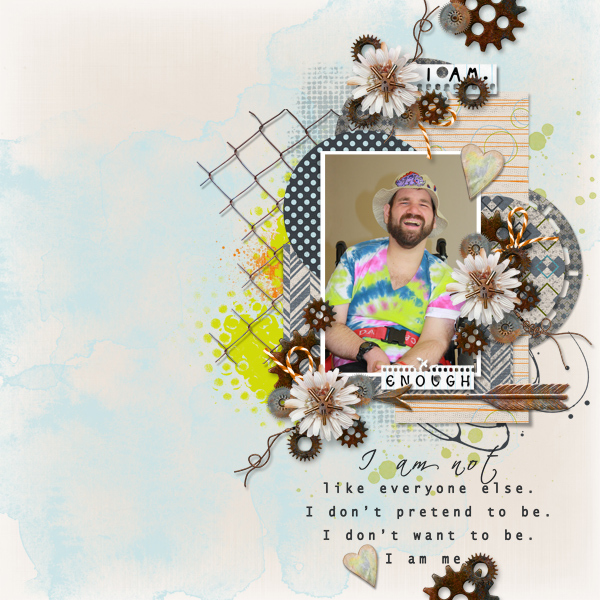 I’ve used flowers on both those layouts. I tend to choose flowers that aren’t overly fluffy, and natural-looking. Daisies will always work with photos of children. Some designers create beautiful composite flowers and I sometimes create my own by putting a screw head, a plain button or a gear – or all three – in the centre. 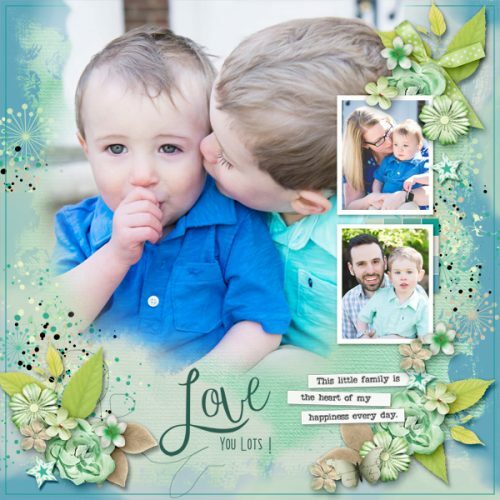 But what can I do when looking at a template FILLED with flowers, and the photo(s) I want to use are either of my son or my grandsons? I substitute lots of things for those flowers. 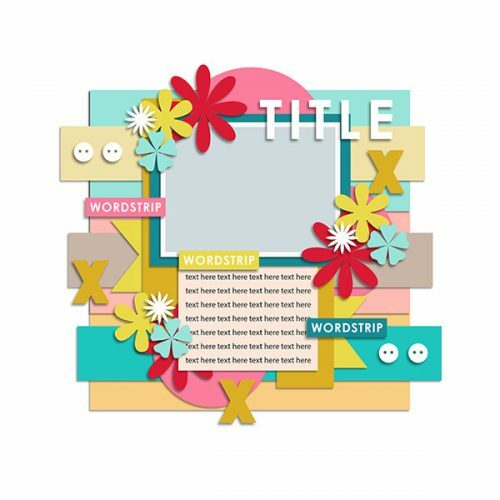 Gears, paper rosettes, tags and labels, stars, hearts, buttons, flair, bows, string, ribbons and word strips all can take the place of flowers. Ready for some audience participation? 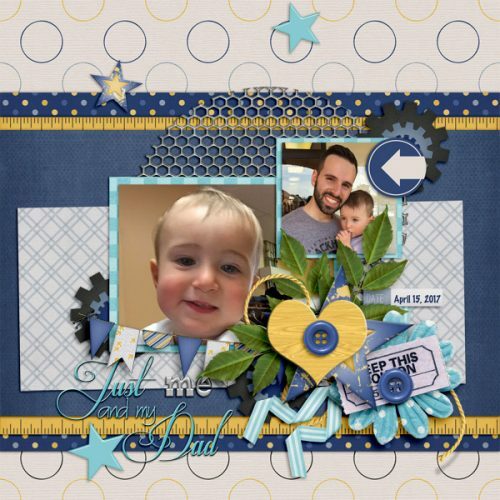 Okay, now the ball is in YOUR court… What are some of the ways you scrap layouts of your boys and men? Please leave your tips in the comments! I appreciate it.